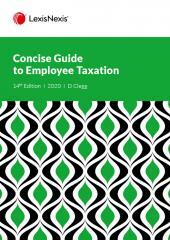 A concise commentary on capital gains tax and includes relevant legislation. 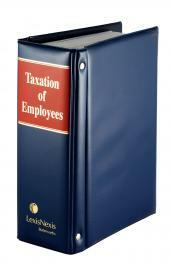 Concise Guide to Employee Taxation is a comprehensive and easy to understand guide to the complex field of employee taxation. This includes both the general rules of taxation for services rendered and employment and the specific rules for the taxation of fringe benefits. It is of interest to anyone with responsibility for the taxation of employees in general and is a useful guide to the rules of salary structuring/remuneration packaging. It discusses the tax consequences of particular package choices, how to avoid pitfalls and how to take advantage of those opportunities provided for in the tax legislation. Selected extracts from the Act, travel allowances and company car rates, daily subsistence allowances and exempt lump sum benefits are set out in Appendices. Updated annually.